Anmol India Ltd (Established in 1998) is engaged in the business of dealing in Coal import and supply industry. Initially serving only brick kiln industry and Coal traders, today the Company caters to the demand of over a dozen different types of industries and trades both in Coal and Pet Coke covering almost half of India and has clients located in over 100 different locations in India. Company’s primary product is USA Coal and Other commodities include Indonesian Coal and Petroleum Coke. Small and Medium scale manufacturers are our primary clients. Company has a sales network covering States like Gujarat, Punjab, Haryana, Himachal Pradesh, Uttar Pradesh, Uttarakhand and the Union Territory of Chandigarh. Company has more than two decades of specialized experience in the current business portfolio of Coal trading. The top management is in the trade for more than 30 years. Further, the Company started trading in the year 1998 and since then they have diversified their product portfolio to USA & Indonesian Steam Coal, HMEL Pet Coke, Saudi Arabia Pet Coke. Company’s Mobile application “Anmol Coal” is one of its kind in the Coal industry and makes their prices easily accessible and transparent. 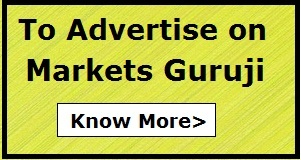 It increases company visibility, useful for price discovery and placing inquiries. It has brought in more than 2000 inquiries in the last one year. The huge user base allows Anmol India Ltd to disseminate information on a wider scale and collect user information (with user consent) for marketing purposes. Since the platform disseminates information in the fastest way possible it also means customers are not wrongly charged during fluctuation period in the market. Apart from traders and bulk users, 25% of the sales is to small scale and retail consumers. As retail customers are relatively less price sensitive, they help to sell inventory during bearish markets. Given Anmol’s vast reputation, Company is able to procure huge quantity of stock overseas at low margin money. Big quantity means big economies of scale which means more discount for the customers. Currently the company mostly serves in Northern and North Western India. Last year the Company started making sales in South India and is getting Positive feedback. To part Finance Working Capital Requirements of the Company. To meet General Corporate purposes. To meet the Expenses of the Issue.